I would characterize my level of brush mania as moderate. More than makeup, brushes have just the level of hard of obtain knowledge and minutiae that an obsessive person like me can really fall in deep. (Other such things for me: how to make more breastmilk - children now too old, sourdough starter and bread baking - current, canning and preserving - just initiating, sticker collecting - childhood expiry) There's all sorts of elements of makeup brushes, especially the hand-crafted Japanese ones, fude, that tickle all my brain's pleasure center: variation of hair type, myriad of highly specific functional designs, artistry of handles, and sometimes tear-inducing prices. With that said, I've amassed a massive collection of exceptionally beautiful brushes and they mostly give me great pleasure. A few months back, I spent a few lovely hours with Sonia (of Sweetmakeuptemptations) while she was in town. While seated at a table after lunch, she gave me a peek at what was to be the Sonia G. brushes. Do you know Sonia? If you have an inkling of interest in Japanese brushes, you probably have been on her website which is a veritable treasure of information on brushes. Her exhaustive reviews and comparisons of brushes helps decipher the brands, the hairs and function of brushes. Her blog was extraordinarily amazing to begin with, but then she had to go full amazing because she translated her expertise into her own line of brushes! I will be totally honest about these brushes. I've paid for the 8-piece Fundamental Brush Set on Beautylish immediately on the day of its release. These are not PR freebies. Still, I will admit that I might be a tad bit colored by my affection and admiration for Sonia herself. That said, if Japanese fude are your thing, you should splurge for the kit (if your budget allows) or purchase few single brushes to try. The Fundamental Brush Kit has eight brushes, four face and four eye brushes all hand made in Japan. 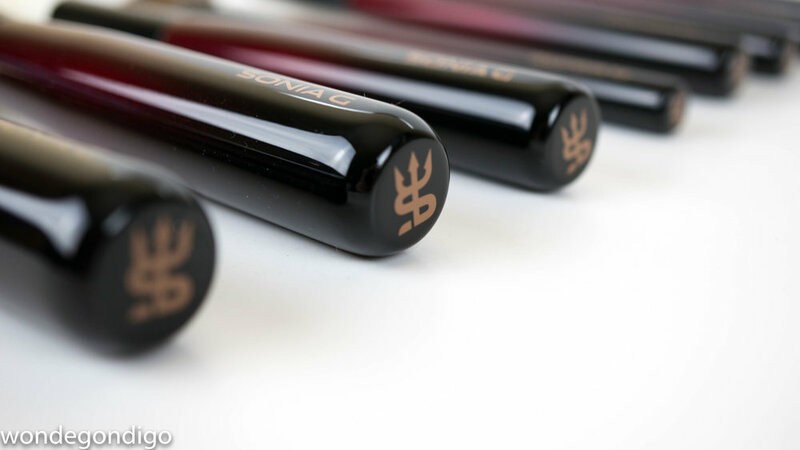 The brushes are longer than many traditional Japanese brushes, with sculpted maple wood handles in shiny red to black gradient. The end of the brush has a logo of the initials "SMT" for Sweet Makeup Temptations with a devil's pitchfork just to tell you it's dangerously tempting. ;) The hairs are natural except for the duo fiber foundation brush. The brushes are delightfully balanced to hold comfortably in the hand. Each brush is imprinted with the name of the brush. Sculpt One - a giant and super dense goat (hakutotsuho) fan brush. Base One - a foundation brush of goat (hakutotsuho) and PBT (synthetic fiber). Face Two - a face brush for blush or powders of goat (saikoho). Sculpt Three - a small fan brush of dyed goat (saikoho goat). Builder One - a small tapered eye shadow brush (dyed saikoho goat). Worker One - a medium-large sized blending brush (dyed saikoho goat). Crease One - a pointed crease brush (blue squirrel). Pencil One - a small pencil brush (blue squirrel). Each brush has something extra about it and I don't mean the usual "oh it's so soft." I mean that there's something super extra functional and useful about these brushes. For instance, the Sculpt One is extra dense. This density and even bundling is important because it makes this brush amazingly good at blending. I've even started wearing bronzers on a more regular basis because this brush makes such quick work of making me look slightly tanned than muddied and unblended. A few quick strokes along my hairline, jawline and my cheekbones and this dense brush does all the hard work. The only con for me is that the brush is so large that working in any small areas would be impossible to do. The foundation brush, the Base One, is extra streak free. My preferred tool for foundation is always my fingers. I sometimes use a Beauty Blender (only for stick foundation), but I like working the foundation into my skin which for me leaves the most skin-like finish on the skin. But I don't like the mess left on my fingers. I like the idea of a foundation brush, but they always leave streaks on the face which requires irritating buffing (my sensitive sad skin) or rubbing with fingers. I've had great success with the Base One brush, particularly for more fluid foundations (vs. stick form or very creamy ones) with a smooth streak-free finish. I will sheepishly admit that a dirty brush will indeed leave streaks, however. Allow me to continue my "Extra Blah Blah" string of thought in a moment, but I wanted to show you something. I have a few Koyomo brushes (probably learned about them on sweetmakeuptemptations!). Among all the brushes I own (SUQQU ones included), these particular ones are treasures. There's a labor intensive lacquer technique (tamamushi) that creates the burnished and glossy effect on the handles. My particular set is Saikoho goat. These are arm and a leg-level of expensive, a single face brush more expensive than the whole Sonia G. Fundamental Set. And yet, and yet... when I first saw the Sonia G. brushes, I was immediately reminded of my Koyomo brushes! The black/red glossy handles and the cloud soft goat hair exude craftsmanship. The Face Two is extra easy going. I'm serious, it has not met a blush formula it doesn't work well with. Some blush formulas are harder and challenging to pick up on the brush, but the Face Two will even make a Chanel JC baked formula play nice. For the very pigmented and softer formulas, this brush blends quickly and easily. I also like the compact head which allows for targeted blending. Sonia has a love for fan brushes and in this collection, this is the second one. 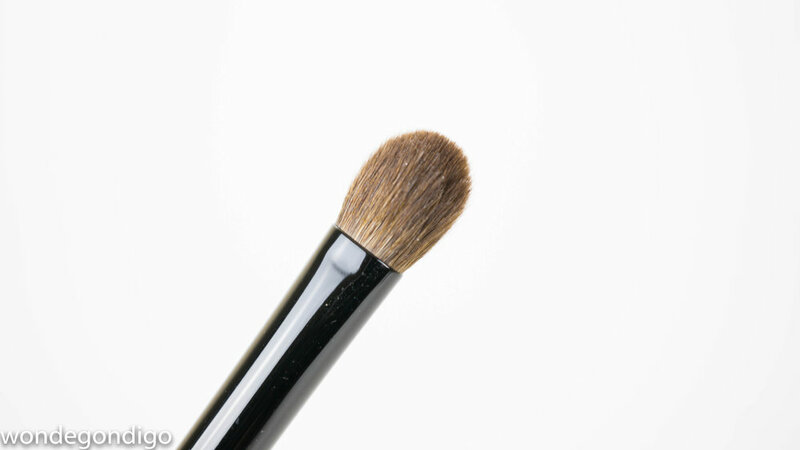 The Sculpt Three brush is meant for highlighters, but you need to know that a fan brush is a great tool for diffuse and blended placement for other things. A very pigmented blush is exceedingly easy to apply (without going full clown) with the Sculpt Three. The dyed fibers are terrific at picking up harder to pick up product. This brush has got me excited to pull out my old Guerlain Cruel Gardenia highlighter. Worker One makes me wish I had bigger eye balls and more lid space. Makes me extra sad. 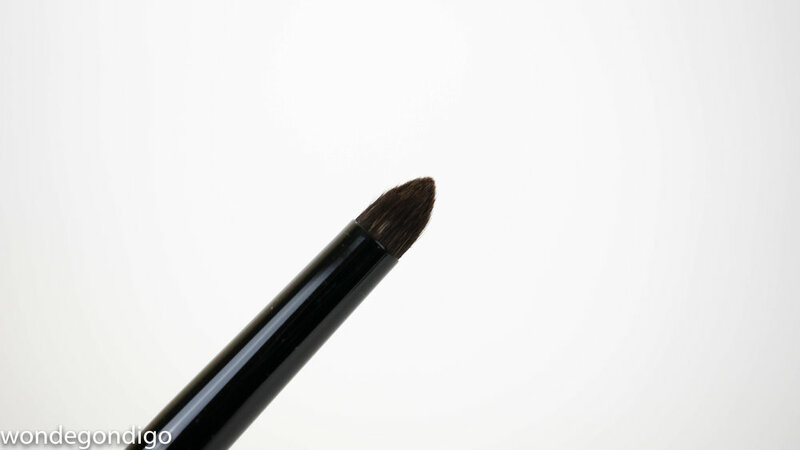 This is a fabulous blending brush, with a rounded belly that allows it to add an all over lid shade very effectively. The brush itself is a little too large for blending the transition between two shades, although it does a great job blending around the edges. The dyed goat hair is excellent as picking up product, too. The Builder One is the brush I never even knew I needed. This is an extra specific brush. When I work with a high shimmer eye shadow, I use a finger tip to deposit the shadow on the center of my lid. Unfortunately, this technique also leaves oils from my finger on the eye shadow causing the pan to become hard and gross. The builder one is highly efficient at picking up shimmer shades and the flat sides are great at depositing and building shimmer on the lids with a few pats. If you love metallic type shades, this can be a game changer. I do love pencil brushes and have a healthy collection of them. Even will so many similar looking brushes, this one particular brush is quite different from the rest. The tip of Pencil One is very pointy and so extra dense. The effect is a firm tip. Of course, since the hairs are super fine blue squirrel, it is not pokey and irritatingly sharp, but detailed work is possible with the Pencil One, when detailed work with a grey or blue squirrel is usually not easily achievable. Here's a look at how the Sonia G. Crease One and Pencil One compare to some of the SUQQU and Chikuhodo eye shadow brushes. The Pencil One is even smaller than the Chikuhodo Z-10 (mislabeled in the photo as Z-20), but these are about as diametrically opposed in feel as can be. The Pencil one has a firm and pointy tip while the Z-10 is more wet noodle level of precision. The Crease One is also maintains a firm and pointy tip making it excellent for precise color placement and fine detail work. The SUQQU S (old version) and definitely the S (new version) are much more rounded in comparison. I posted this video on Instagram and YT when I first purchased these brushes. First I pat myself on the back for being able to edit a video (patpatpat) but I think it gives a good view of density and function. The set is also available as singles on Beautylish. Sonia has also released several more face and eye shadow brushes. I've picked up a few more which I hope it won't take me another six months to share with you. All in all, Sonia G Fundamental Brush Set is a phenomenal selection of beautiful and functional brushes. They really make applying makeup efficient and pleasurable. Bravo to Sonia! I'm so amazed and excited to see her create this incredible labor of love. These brushes are exceeds my expectations and I think many of you will find a brush to love in her line.